For the first time in many years I am missing the hanami season in Japan. This time of year when the sakura blooms is considered by the Japanese as a chance to enjoy the beauty of nature with friends and to recognise that the cherry blossom is symbolic of life: transient and beautiful. Acceptance of this premise (of impermanence) is part of Buddhist doctrine. I will be back in Tokyo for a few days and I’m sure the last petals will be falling to the ground as I arrive. 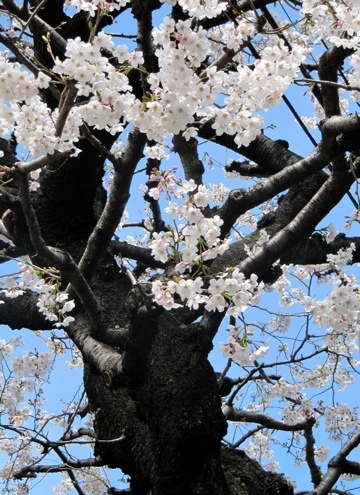 Most of us will miss out on our hanami parties this year: The Tokyo government is discouraging public parties out of respect for those who have suffered during this last terrible month. I think it’s a bit much – people in Japan need to get together with friends under a beautiful tree, have a laugh and a sake/beer/onigiri now more than ever. They didn’t cancel Christmas during the war, did they? I have so much to write about my last month as an émigré – some remarkable travels were had indeed – but I will wait a few days and post them when I am back home so I can post my pictures too, which are always half of the story. ♦Oshibori are the hand wipes/towels that are offered to you when you go to a restaurant, cafe or some bars. I have become so accustomed to them that I carry my own wet wipes. Pray for Japan, please keep it up!